The late Aime Giroux founded an insurance office and real estate investment Company in 1934. Paul A. Giroux joined his father's firm in 1945 and specialized in real estate brokerage, and real estate appraisals. From 1954 to 1958 the firm was involved in residential development. Since 1958 the firm was involved in retail commercial real estate such as the location of Shopping Centers and Shopping Strips. 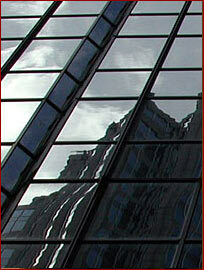 The company offers real estate brokerage, sales, leasing, appraisals and analysis. Fall River, MA. United Merchants. Bldg 17 Firestone, 45,000 SF. 1325 Airport Road, 24,000 SF, Industrial Park. 1075 Airport Road, 40,000 SF, Industrial Park. 100 Waldron Road, 15,000 SF, Industrial Park. Whaling Mfg. to Quaker Fabrics, 80,000 SF. Ashworth Mill, 90,000 SF - 1 Story Industrial. Ades Mill, New Bedford, MA. 20,000 SF. 10 Acres Waterfront Somerset MA. North of Brightman St. Bridge. 650 acres in Tiverton RI. from Texaco to Douglass. 650 acres in Freetown MA. for industrial development to Greater Fall River Development Corp.
Bowenville Coal Yards Waterfront. Davol Street Fall River, MA. 5 acres from Tamer to Gladding Hearn Somerset, MA. Staples Dock to Gangplank, now the former Regatta. 50 acres to Greater Fall River Development Corporation. 202 acres from Greater Fall River Development to landfill. Philips Road Low Income Apartment site New Bedford, MA. Middlebrook Farm in Little Compton, RI. 185 acres in New Brunswick, Canada. 25 acres in Peterborough, NH. 25 acres in Clinton, Maine. Worked on assembly for Durfee Bank Bldg.which is now Bank of America. Bldg. No. Main & Central Fall River, MA. Bennett Building, North Main Street Fall River, MA. Gorin Building South Main Street, Fall River, MA. Manchester Building, South Main Street, Fall River, MA. Bilsky Building, South Main Street Fall River, MA. Durfee Bank Branch Acquisition Taunton, MA. Durfee Bank, No. Main Street, Fall River, MA. Durfee Bank, Mariano Bishop Blvd, Fall River, MA. Terminal Lands WS Bay Street Fall River, MA. Brooks site Main Road Tiverton, RI. Brooks site Broadway Taunton, MA. Cathay Temple site Rt. 6 Mattapoisett, MA. A&P site, McGowen St., Fall River, MA. A&P site No. Main Street Fall River, MA. A&P site Pleasant at 14th, Fall River, MA. A&P site Rt. 6 Mattapoisett, MA. Sand Pits, Forge Road Freetown, MA. 4000 acres option to EG&G for coal degasification project Fall River,MA. 8 acres- Industrial addition to Border City Mills. 5 acres- Trina to Karam- Weaver St. - Industrial Development Condo. Slades Ferry Branch Bank, So. Main Street Fall River, MA.